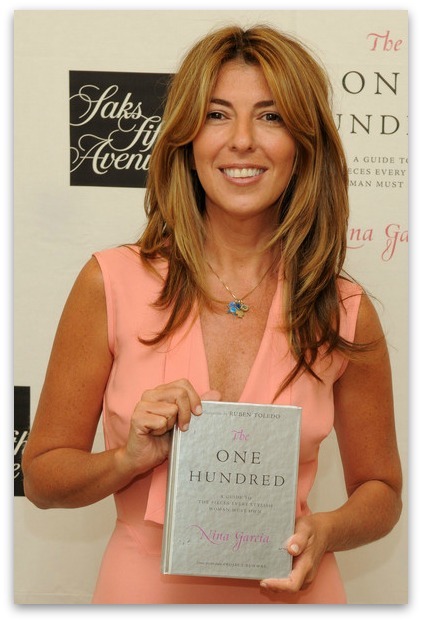 So to continue on with Nina Garcia's The One Hundred: A Guide to the Pieces Every Stylish Woman Must Own, I will list the B's today! I was trying to figure out the best way to keep this going, in increments of 5, 10? Then I realized she organized it by alphabet, so why not stick with that? 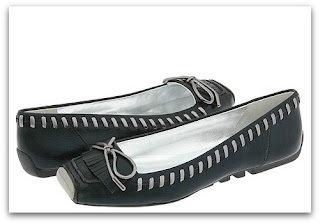 Ballet Flats are a repeat, but I'm sure you don't mind! The premise of this post is to go through the book and to see how well I score, out of 100, in matters of style! See the A's into the beginning of the B's here. 1.) 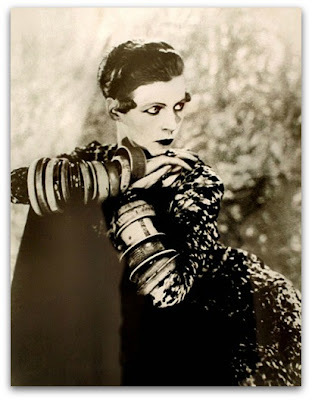 Ballet Flats- I fully believe with Nina when she says the ballet flats have stood the test of time and it's "one of the few flat shoes that the fashion world has adopted and adored." 3.) Belts- as Nina says, belts are often an "overlooked and under appreciated" accessory, with shoes and bags getting all the attention! 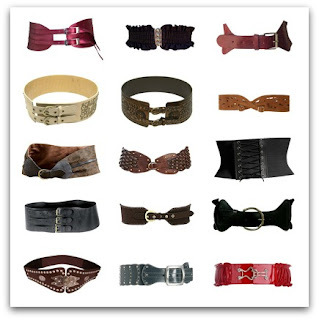 Belts can "make you look slimmer, pulled together, accentuate curves, and add bling to an otherwise bland outfit." I probably have a minimum of 10 belts, so this is a check! 5.) 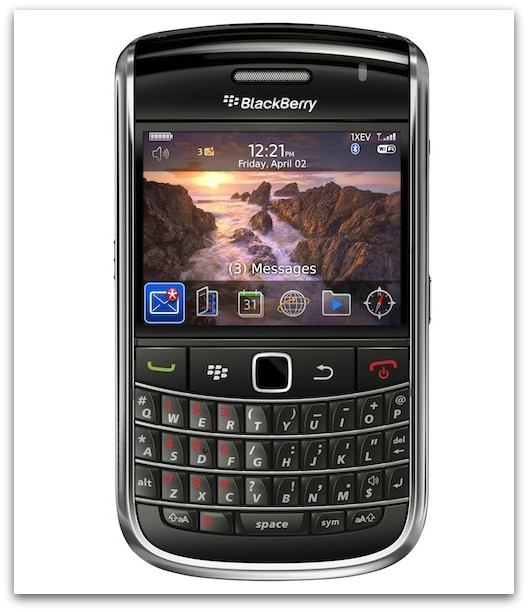 Blackberry This book was published in 2008, so I'm surprised this is on the list rather than the iPhone, but I'll run with it! I personally have a "Crackberry" for now, so this made me smile! 7.) 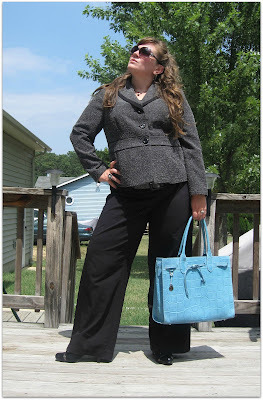 Blazer No longer are blazers just for suits, but can be worn with skinny jeans, dresses, etc.! 8.) 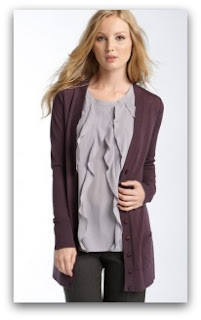 Boyfriend Cardigan- this is a definite no with my body type, but a highly popular piece. They look bad on me and accentuate parts I don't want accentuated! ;) They look fabulous on my sister though! I agree with Nina when she says "perhaps because anything that looks like it was stolen out of your boyfriend's closet will never go out of style." 9.) Brooch I'm a jewelry freak, so I LOVE brooches, and have quite a few! Instead of a picture of mine, I found a picture of something I wish I had done for my wedding bouquet- a bouquet of brooches! So chic! yes!!!! So on point. I have all the items, except a brooch. I can do without that item. Maybe I haven't found the right one yet. Have a blessed day! Love this series you are doing! Very excited to follow along! Well, I don't have an blackberry (do have an iPhone as of last week) and I don't have a brooch but I do like the idea of a brooch. I would love to have one really unique, like a 'signature piece'. Otherwise, I totally agree and have everything on the list! I'm so excited to have you guys following along! I find that I can't wait to see what's next on the list!! 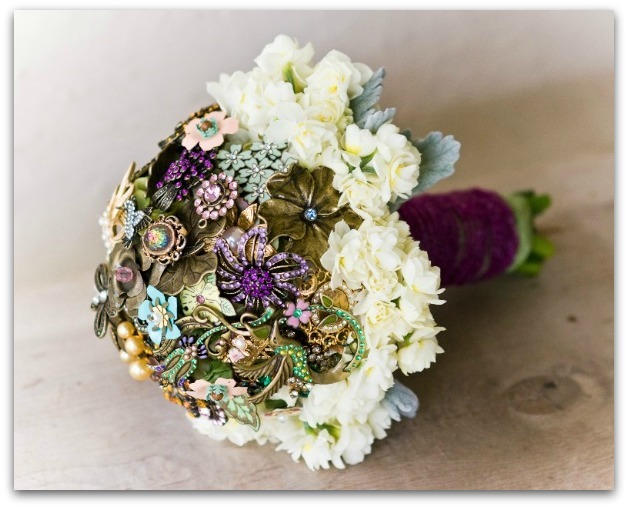 ooh Brooch bouquet! I'm getting married in May and am in the process of building mine out of some beautiful brooches! I agree with this list though speaking as someone addicted to her iPhone.